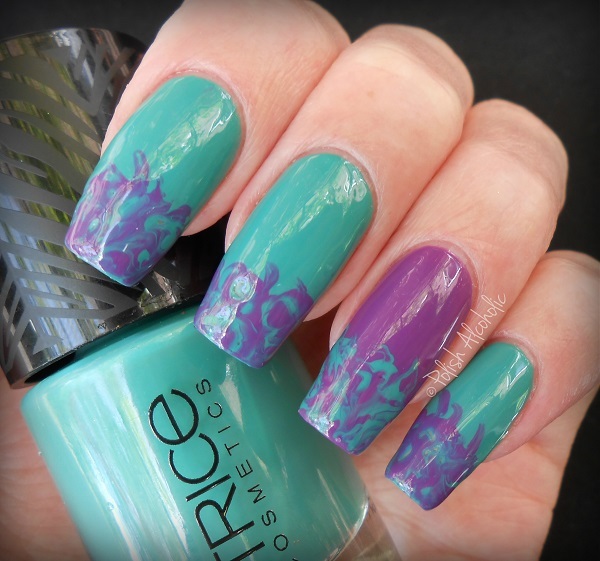 This entry was posted in Catrice, Nail Art and tagged blog, catrice, dirty liana, dry marble, i got the flower, marble, marbling, nagellak, nail art, nail polish, polish alcoholic by Polish Alcoholic. Bookmark the permalink. So pretty! And might HAVE to try the dry marble, such a cool effect. I have to try this sometime! So easy, yet so beautiful. Must try! I love the colour combo. Nice! I quite like the colours together! I’ve only done dry marble once, about 2 years ago. I should do it again sometime soon! I love the dry marble technique. For some reason I cannot perfect the water marble but I love the look of dry marble!